Wine art and The Château Lafite Rothschild. It is not my intention to single out any particular château, there are many are magnificent piles of rocks around prosperous Bordeaux. This picture simply insisted I paint it. I was driving back to Pauillac towards the close of a long day in The Medoc. Passed this scene I felt a magical quality in the colours and light so stopped, drove astern onto the narrow verge and risking the wrath of fellow motorists, painted. 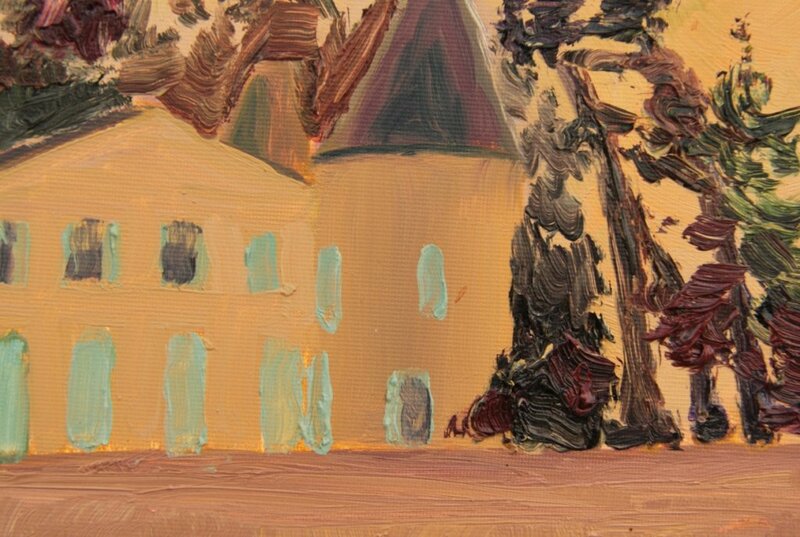 At the time I was blissfully unaware I was painting one of the two famous Rothschild Châteaux, a producer of some of the most rated, celebrated wines in France, one of only 10 châteaux listed at the top of the Imperial Classification of 1855, Château Lafite Rothschild. An “the exception that proves the rule”. The only rule in painting is there are no rules. The origin and the lords. The first reference known of Lafite is as far back as 1234, a mention of Gombard de Lafite abbé du Monastère de Vertheuil to the North of Pauillac. The existence of the lords of Lafite really comes to be noteworthy from the XIV cira. The name has a Gascon origin, ‘La hite’, that is taken as meaning ‘La butte’. The name probably became associated with the property and wines from around the XVII century. The origin of the plantation is attributed to one Jacques de Ségur, 1670. The wines of Lafite are considered friendly, delicious and have been compared to legendary ambrosia of the Gods of Olympia. 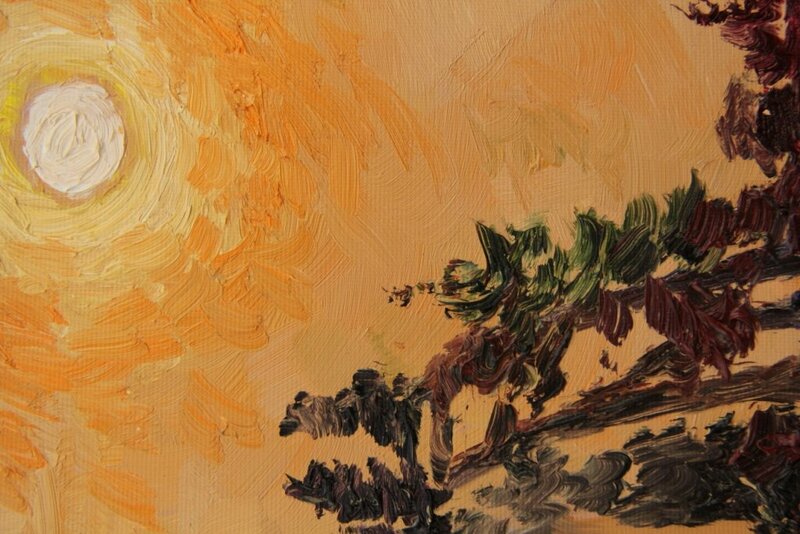 If you ‘share’ and ‘like’ that helps this web site, the Facebook page and the artist, thank you. In some cases, educational and private use for example free use is permitted. By International law these pictures and texts may only be copied after written permission and a copyright fee has been paid. Our fees are friendly our terms very reasonable.